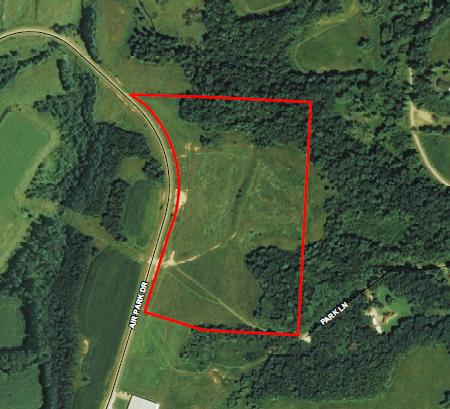 The Airport Industrial Park site is 30.18-acres of vacant land ready for development and is located three miles south of Interstate 70, just east of Zanesville, Ohio. All utilities are in place at the site. The site is easily accessible from both the north and south directions of Airport Industrial Road. Preliminary development plans are available. 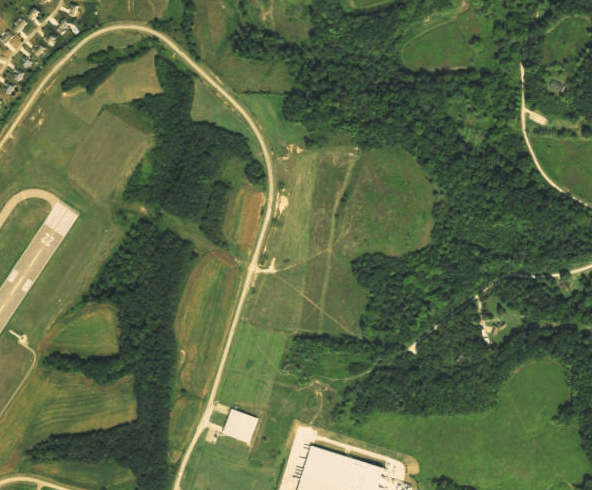 Topography at the Airport Industrial Park is gently rolling towards the west and southeast portions of the site. Elevations on the property range from 835 to 870 feet above sea level. 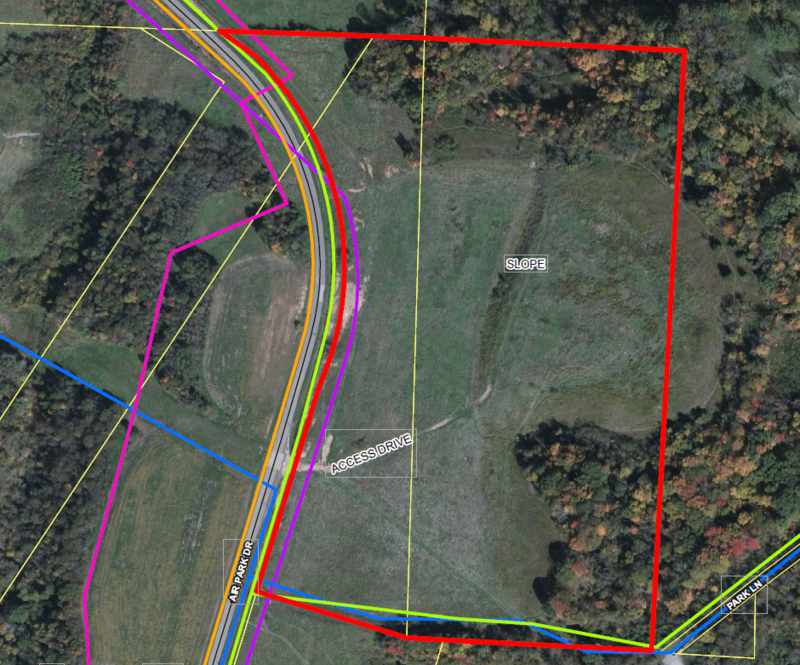 According to the USDA NRCS, there are six soil types mapped for the site. The two dominant soil types shown are Fairpoint silty clay loam with 15-20% slopes (FaD – 8 acres, 24.3% of the site) and Fairpoint silty clay loam with 1 to 15% slopes (FaB – 8 acres, 24.1% of the site). According to the FEMA FIRM 39119C0310G, the site is located within Zone X. Zone X is determined to be outside the 0.2% chance flood plain. According to the USFWS NWI map for the Airport Industrial Park property, there are no wetlands on the site. The primary vehicular access to the site is from Airport Industrial Road to the west and can be easily accessed from either the north or south direction. Airport Industrial Road is a two-lane road and there is good visibility for motorists turning into or out of the site. This site is located 3 miles south Interstate 70. There is no railway access for the property. 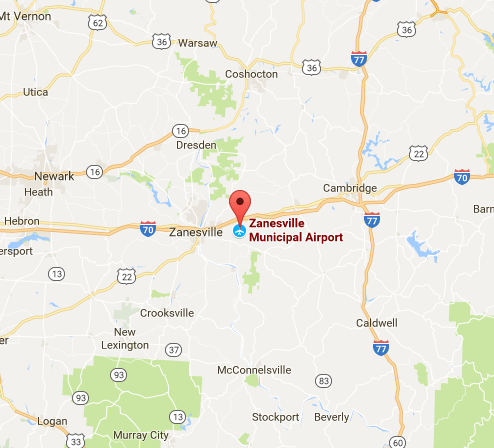 The Zanesville Municipal Airport is located just southwest of the site. Access to the airport is provided just west of the site down Airport Road. The site is located 56 miles from John Glenn International Airport. Natural gas service is provided to the site by Natural Gas & Oil (NGO). The capacity for the site is 14,400 MCF per month. The gas line runs north and south on the west side of Airport Industrial Road. Electric service is provided by AEP Ohio. Service runs north and south along Airport Industrial Road and then along the southern boundary of the property. There is currently 10 MW available capacity for the site with 12KV service. Potable water service is provided to Airport Industrial Park by Muskingum County. There is currently a 16’ line that extends from the west to Airport Industrial Road, then veers south and across the southern property boundary. Capacity for the site is 500,000 gallons per day. Currently a 12’ sewer line is located 500 feet west of Airport Industrial Road and is provided by Muskingum County. The capacity for the site is 185,000 gallons per day. Currently there are no storm drains or swales located on the property. Storm sewer service can be available as development of the property begins. Telecommunication and fiber optic services are provided by Time Warner. Both services are available to the site. The lines for these services run north and south along Airport Industrial Road. Capacity for the site is up to 1 GB of internet service with Ethernet available.